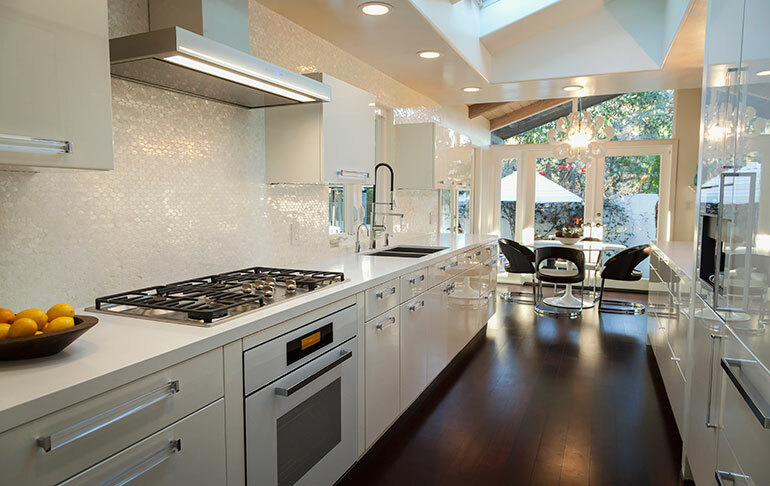 Beach Kitchens is a locally owned and operated kitchen and bath design company, serving the South Bay area. The very best in American-made craftsmanship, Wood-Mode luxury products are the culmination of more than 70 years of precision workmanship and design leadership. 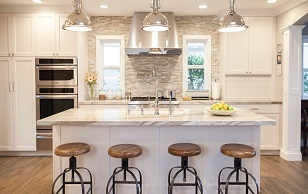 Beach Kitchens is a locally owned and operated kitchen design and bathroom remodeling company. We serve the South Bay area of Manhattan Beach, Hermosa Beach, Palos Verdes, Redondo Beach, Torrance, El Segundo, and San Pedro. Your kitchen remodel is our top priority. Robyn and Colette will amaze you with unique kitchen design ideas. As a premier kitchen design company, we pride ourselves on serving clients with the best quality service in the South Bay. Our team of kitchen cabinet experts have 25 years of experience and we strive to combine our knowledge and creativity with your dreams for a new space in your home. 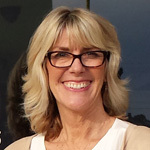 Known for her personal attentiveness and extensive experience, Robyn has been a kitchen designer and bathroom designer in the Palos Verdes area since 1999. She is a member of the National Kitchen & Bath Association (NKBA) and is pursuing her certification as a Certified Kitchen Designer (CKD). Robyn believes in the transformative power of design, turning a physical room into an inviting atmosphere. Like Colette, she has a passion for cooking, and this is reflected in her dedication to providing functional yet aesthetically pleasing spaces. 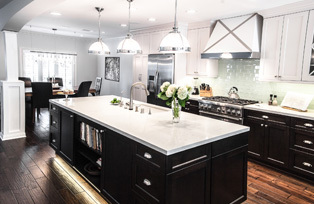 Colette is a professional kitchen designer and a visual artist with a lifetime of experience. Since she was a young child, she has loved art and design, and found the perfect career to develop and use both on a daily basis. Colette has a simple and straightforward design philosophy: kitchens need to reflect the homeowner’s personality while being practical at the same time. Because of this, she strives to incorporate the style of each and every home and enhance it with a visually stunning and unique space. 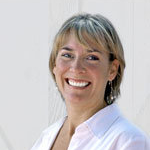 Outside of work, Colette loves to cook, and is dedicated to working to better the Hermosa Beach and South Bay area. Beach Kitchens designed our master bath remodel. 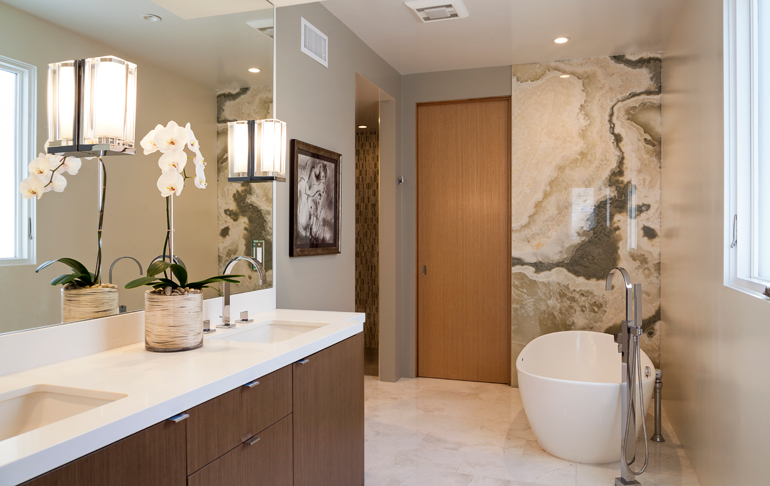 The designer’s plans were innovative and dramatically improved the look and feel of our bathroom. It now feels like a luxury spa instead of a dated, dark bathroom. 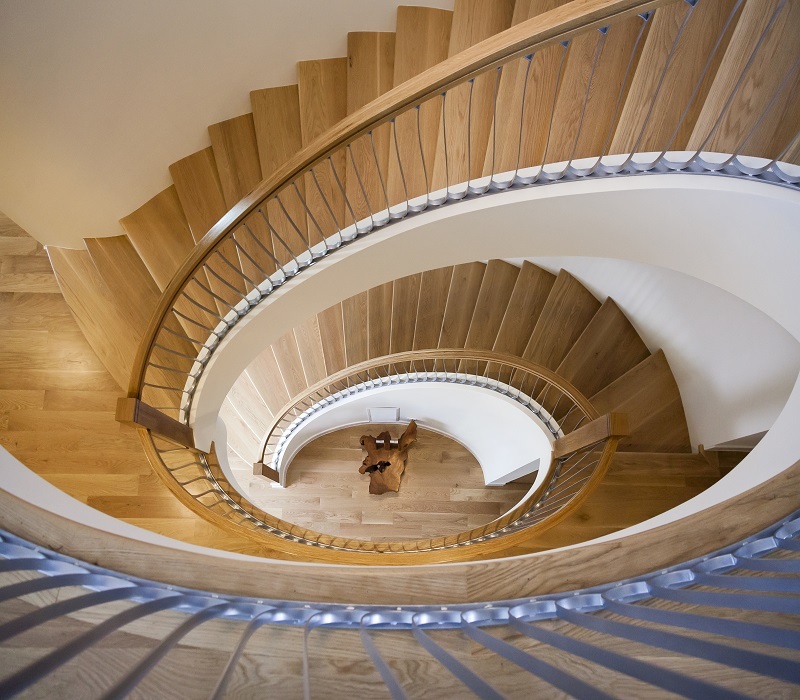 Our designer, Colette, was attentive to detail and involved with the project every step of the way. She coordinated with the contractor and helped us select bathroom cabinets, faucets, stone, lighting, and detail finishes. Colette is professional, talented, and knowledgeable. I highly recommend Beach Kitchens. Beach Kitchens designed my beautiful new kitchen and bathrooms. I like everything about the look and function of my new rooms. Beach Kitchens provided creative and innovative ideas for each of the spaces that fit my needs and personality, coming up with design and function ideas that work beautifully. Colette and Robyn were wonderful to work with. They were clear about the process, the expectations on both sides, and were diligent and honest in their work. I have spaces I am really happy about and pleased to show off to friends and family. Towards the end of my job, I learned that a good friend was just considering Beach Kitchens so I told her to put her hand in theirs, do everything they say, and she would have a beautiful kitchen. 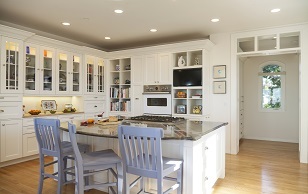 Robyn Manger of Beach Kitchens did a truly amazing job on our kitchen remodel! Even though I flip houses for a living, I still needed help with my own kitchen. Robyn had great ideas, kept costs in mind, and worked with great materials. I would recommend Robyn and Beach Kitchens to anyone wanting an aesthetically beautiful kitchen, as well as a highly-functional one. 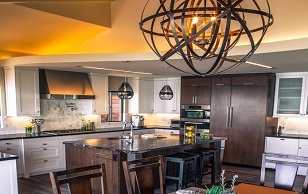 - Houzz user: The Shenbaum Group, Inc.
Robyn Manger of Beach Kitchens was absolutely outstanding. Our new kitchen is a true showcase. We loved her design and execution of a tremendous kitchen. It was better than we could have imagined. We highly recommend her to anyone looking to do a kitchen remodel. The best decision we made was hiring Robyn Manger of Beach Kitchens to design our kitchen. 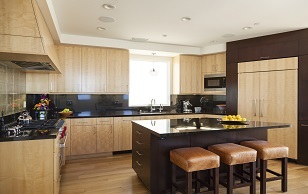 Robyn is creative and is truly an expert in designing a beautiful and high functioning kitchen. She listens and is always mindful of our budget. Robyn is pleasant to work with and explains things very well. All of our kitchen cabinets came in perfect condition and Robyn’s measurements were absolutely precise. Now our kitchen remodel is completed and we are able to enjoy our kitchen; it would not have been possible without Robyn’s design skills. I would definitely recommend Robyn. Beach Kitchens, LLC is a local kitchen design firm which focuses its attention and passion on kitchen remodeling for individual homeowners. Therefore, we are happy to start the process by coming to your home, listening to your ideas, and getting to know you and your personal spaces better. Our design services include fully customized kitchen cabinets, personalized bathroom cabinets, surface materials, fixtures, and kitchen appliances. We will guide you through the process, and take you step-by-step to ensure that you understand everything that is happening with your project. Together we will create the space of your dreams around a budget that fits your needs. Kitchen remodeling is our passion. 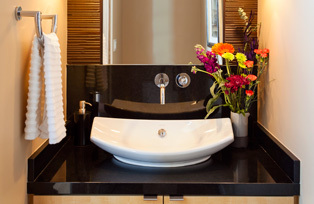 We express our creativity and vision in each bathroom remodel and kitchen design we make. 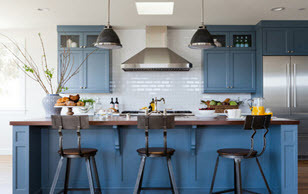 Our kitchen cabinets and talent for kitchen design reflect the beach atmosphere of the South Bay communities of Redondo Beach, Manhattan Beach, Palos Verdes, San Pedro, El Segundo, and Torrance. 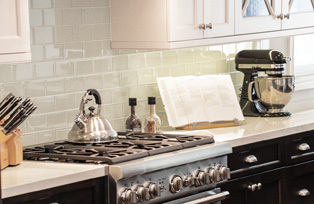 We proudly carry Woodmode and Brookhaven custom and semi-custom kitchen cabinets. Your completed kitchen design will include the perfect species, stain, and finish. 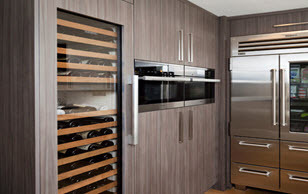 With hundreds of kitchen cabinet options, your choice is clear; Beach Kitchen is the one for you. 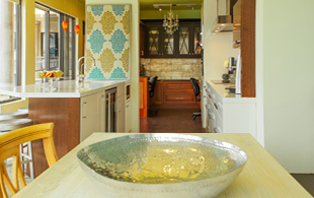 Feel free to visit our kitchen design studio – located in the heart of Redondo Beach’s Riviera Village. We also invite you to call us to set up an appointment for a consultation. We are happy to travel to your South Bay home to see your space and learn about you and your home. 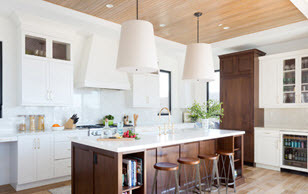 Whether you live in Hermosa Beach, Manhattan Beach, Palos Verdes, Redondo Beach, San Pedro, El Segundo or Torrance, give us a call and experience the best kitchen design the South Bay has to offer. After our initial meetings, we will work with you to develop a budget and timeline. Our goal is to be as realistic and upfront as possible to ensure that your kitchen design is completed as quickly as possible. We will ask you as many questions as possible throughout the kitchen remodel process to ensure that you get exactly what you want. We will discuss specific kitchen appliances, fixtures and surfaces to work with your kitchen cabinets. 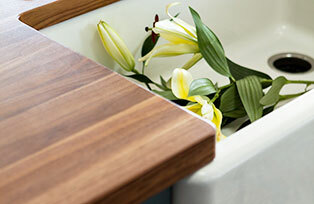 The more details the better: They help us to improve your kitchens and baths. At this point wee will also develop CAD drawings, renderings and floor plans to help you visualize the remodel. Once you have a kitchen design, we will set up a review meeting for feedback. This allows us to gain any last minute revisions and changes to the kitchen cabinets and remodeling plans. Once approved, we will proceed with a retainer to establish a payment plan. We will coordinate construction and material selection with you and the contractor and complete all final details. This can be an overwhelming stage, but we will work hard to develop a kitchen remodel plan of action based on our own experiences and knowledge about the industry. 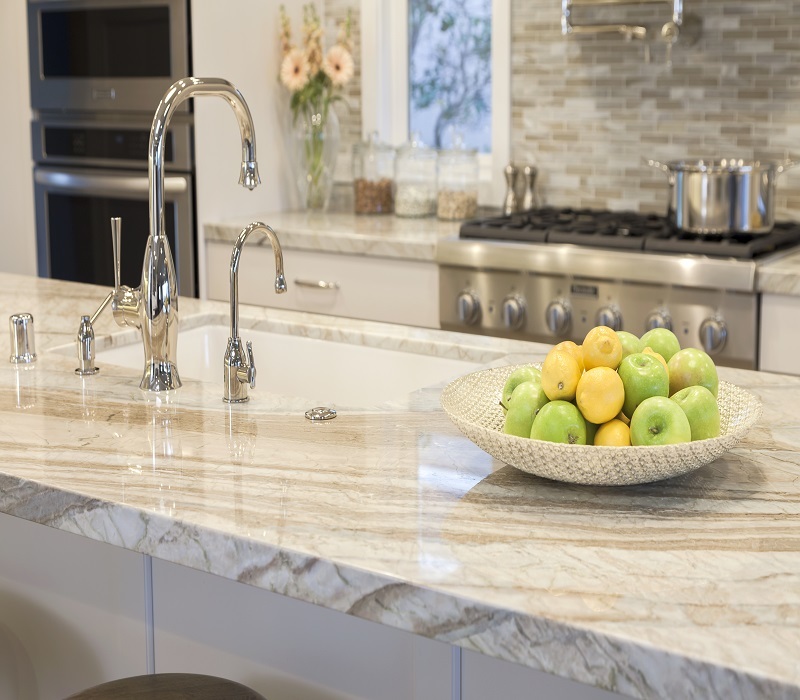 Finding the perfect balance of detail, craftsmanship, performance, and durability for your new kitchen or bath is our goal. From contemporary to mediterranean to traditional, we have designed hundreds of custom spaces based around the needs of very different homeowners, and we are proud of our collective portfolio. Below are a few of our absolute favorite designs that speak to our wide range of experience and abilities. Miele is a German manufacturer of domestic appliances including ranges, ovens, dishwashers, and much more. The company was founded in 1899 and thanks to a philosophy that focuses on the dynamic development of quality and technology, the brand is now identified with unsurpassed product quality. Modern-Aire Ventilating is a full-line manufacturer dedicated to giving you a quality product with service you can count on. They have been in business for over 50 years and have earned a reputation for reliability and durability. 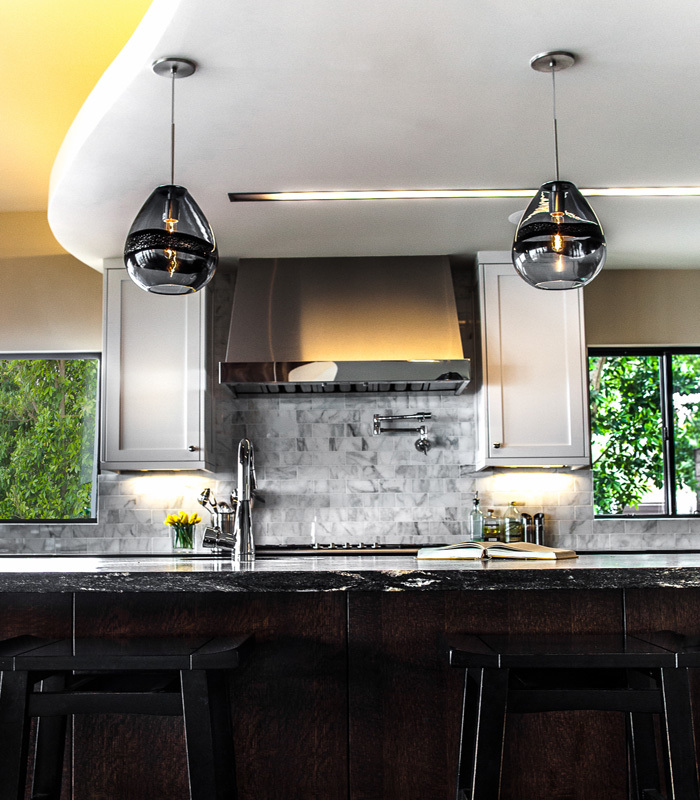 Whether you are in the market for a one-of-a-kind Custom Canopy or a Modern-Aire Standard Range Hood, you can count on them to do the job right. Ann Sacks manufactures and supplies luxury tile, stone, and plumbing products on a large or small scale to homes throughout the country. Product offerings are made to suit every taste and budget, adding a sense of luxury, culture, and character to any home. For over 35 years, Ann Sacks has scoured the globe to bring you the most innovative materials and designs to help create truly exceptional spaces throughout any home.